An important position to the community of Major Command, as a dispatcher you will be in charge of maintaining the queue and dispatch system. You need to have your ear to the ground and be able to highlight events, threads, and other ongoings that the Major Command public may be hungry for. You will also have to craft appealing dispatch images so some photoshop or image editing skills are desired. We are looking for one single person for this position and you would be entitled to Commander Class for as long as you serve as Dispatcher. Please contact Badorties if you are interested. We need able bodies to join the Embassy and be the friendly face for new recruits and the curious public. Your duties will be to respond to public and private requests for information as well as organize and assist public events, such as Survivor games and other activities in the forum and around the site. You will be on the front lines in the battle for morale! 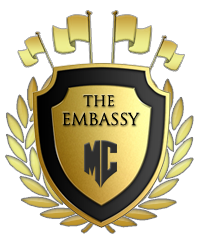 Membership entitles you to free Commander class as long as you actively serve the Embassy. Contact Badorties if you are interested. Be part of the small but growing tournament system here at Major Command. We need honorable men and women to create and run tournaments using our own tourney system. You will also be providing feedback and suggestions on the future of the tournament system. Tournaments are going to be a big part of Major Command’s future, especially when you can win real money, so we need creative and eager Tournament Organizers today! Please contact Incandenza if you are interested. Join us jaded and oft-drunken writers in filling out and crafting the home of Major Command Risk. The wiki is an important resource here and we need those skilled with the pen and mind to bring it to its full potential. You will be responsible for creating and maintaining content in the wiki. If you have a desire to record the life of Major Command, please contact KungFuDuet. Thank you to all your volunteer work and for making Major Command the best place to play Risk online free. Have you ever been dreaming to Play Criminal Investigation games online? Do you like to play Risk online? Do you want to be a part of Criminal Investigation Command? If yes, we are now starting up the Major Command Criminal Investigation Command, an elite group responsible for investigating claims of multiple accounts and cheating on our website, where you can play Risk free. Remember that having multiple accounts at Major Command Risk game is against the Community Rules. In fact, creating one is against the number 1 rule of Major Command Risk. 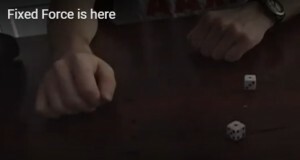 Doing so will get you banned. However, this hasn’t stopped many people from creating and using multiple accounts to cheat the system. 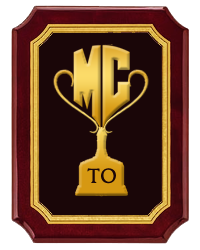 The MCCIC, or as they call themselves, 1299, will be comprised of players who have a probative eye and can pick up on subtle clues to solve each case with a guilty or not-guilty recommendation. They will scour game records and the internet at large for signs of collusion and another law breaking. Do you want to be a member of 1299? Are you a natural detective? If yes to all three then step right up. Please send a note to Badorties for consideration as a candidate. 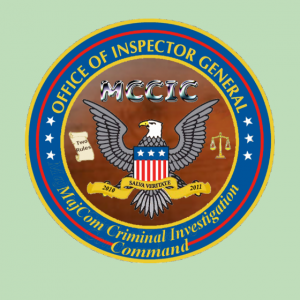 You may like to visit the Criminal Investigation Command page in clans. Play Risk free online and fight for Beta Awards. Some of you may be seeing a new service award on your user pages. We wanted to recognize users who have contributed to playing Major Command Risk beta with bug reports and suggestions. Did you remember the Private Beta? We have reached 1000 active users, which is a cap that was set so we can get a handle on growth. However you can still invite your friends from the start a game page. Just add their email to the ‘others’ forum. Like so. As long as they use the email you put in to sign up with, they should be fine. There is a gold beta award out there, but that will be awarded upon completion of the beta phase. We will also be doing more beta awards rounds at that time to get all the new folks contributing as well as upgrading those to are going above and beyond. Thank you to everyone who submitted sugg and bug posts. The criteria and list of inductees were developed by Orbotron so if you feel like you deserve the award and were not given one, just let one of us know. Many thanks to Orbo for his work in this effort. Map assistants are very important partners to us while creating new strategy maps for Major Command Risk online games. Gearing up for going public again, the responsibilities of CentCom are the creation of a good clip. We are looking for interested and able Risk players to report for the following positions: Map Assistants and Game Ambassadors. The first one described here by our Major Command Studios head, Shepherd. We’re currently seeking folks with sharp eyes and impeccable taste to serve as map assistants in our Screening Room. The screening room is where our map artists craft future Major Command Risk maps, working on everything from the placement of the regions down to the width of the map’s troop containers. This is not the place for user-generated map development; that is still to come. This is a viewing room where our artists seek advice and feedback. Screening room map assistants will be expected to check in routinely (at least weekly) to look over and give feedback on new drafts. Assistants should have a solid understanding of how the game plays, and of the unique game features here at Major Command. Knowledge of Photoshop would be helpful in conversing with the artists, but is absolutely not required. Candidates should also be able to keep a secret, as some new projects we’ll want to keep under wraps until we’re ready to unveil! If you are interesting in this, and we are looking for up to 10 folks, please send a private note to Shepherd. The second position is that of Risk game Ambassador. The responsibilities will be as a go-to person for new players to ask questions of and get answers. As well as set up and play games with new players. As a game Ambassador, you will be charged with extolling and extending the good will of Major Command Risk strategies. You must know the rules of the game, the ins and outs of this site, and where to direct new players who need answers you cannot provide. We are looking for up to 3 people for this (staff) position. If interested, please send a private note to ghost, who will be the liaison.